This is a modified version of a review to appear in Journal of Documentation. Histories of things in 100 other things seem to be all the rage these days. The British Museum started it, with its History of the world in 100 objects. John Julius Norwich extended the idea to a history of England in 100 places, the Imperial War Museum got in on the act looking at the First World War in 100 objects. We’ve had the history of life in 100 fossils from the Natural History Museum, the history of the 20th century in 100 maps (another from the British Library), of London in 100 places; and the list goes on. Somehow the subject of books seems to bring out the best in writers who seek both to provide authoritative scholarly information and also to produce an attractive and readable book in itself. The authors have succeeded admirably here, with a good choice of topics, clear and detailed text and excellent illustrations. 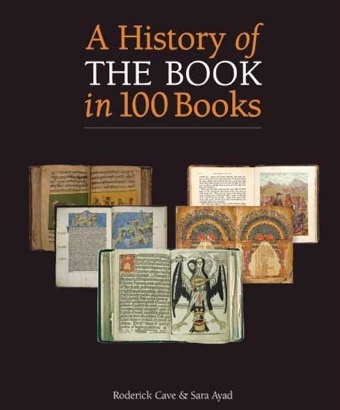 Like David Pearson’s Books as History, also published by the British Library, this is a book which is equally suitable as a text for serious study, and also a high-class coffee-table book. This book brings the message that the processes and products of documentation are not only important and valuable but may also be cultural, and beautiful, artifacts in their own right. Those of us at the academic end of the information and documentation disciplines sometimes, I think, forget this, and this splendid book is a timely reminder.